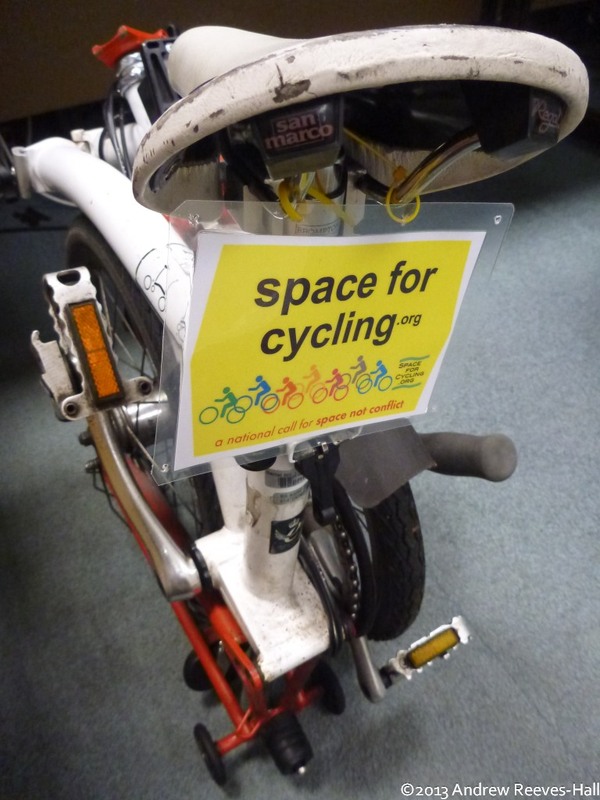 A laminated placard attached with yellow cable ties to the seat of a (folded) Brompton bicycle. Print out the placards and cut out the individual plates as indicated by the guiding lines at the edges. Although not necessary, if you have access to a laminator then it is best to use it! To hang the placard, punch a couple holes in the top and affix it with string or cable ties (preferably yellow ones or white ones). What does ‘space for cycling’ mean for the UK? Find out HERE.